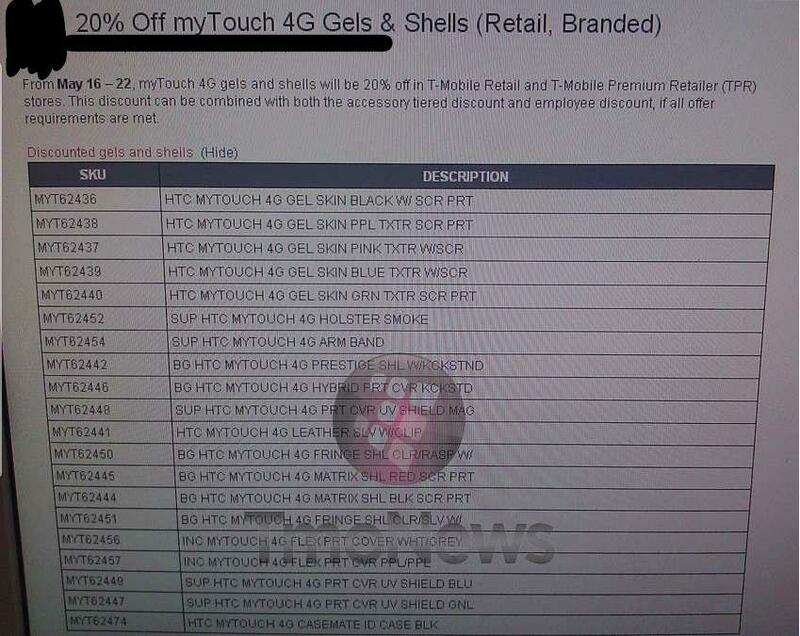 Beginning today myTouch 4G fans can pick up Gels and Shells for 20% off the retail price. Available in T-Mobile owned retail stores as well as T-Mobile Premium Retailers this deal lasts through May 22nd. If you’ve been lusting over that Gel for your myTouch 4G this is the time to act! i get mine at Amazon.com for $2 why spend $18 at the T-Mo store?? T-mobile needs your money very badly.